CD Genomics is proud of offering and tailoring most types of transcriptomics services to meet the research objectives and budget of our clients. We are able to guide you all the way from project design, project initiation, to high-quality results. 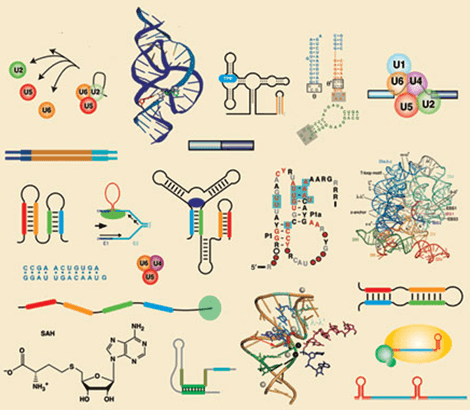 The transcriptome is the set of all RNA molecules, including mRNA, rRNA, tRNA, and other noncoding RNA, isolated from one cell or a population of cells. Transcriptomics is the high-throughput study of cellular gene expression under specific conditions by cataloguing the complete set of RNA transcripts, including mRNA and non-coding RNAs. Transcriptomics enables genome-wide analysis of transcription at single nucleotide resolution, including determination of the relative abundance of transcripts, unbiased identification of alternative splicing events and post-transcriptional RNA editing events, and detection of single nucleotide polymorphisms (SNPs). This method is advantageous over the existing methods, such as microarrays and expression sequence tags. It is a powerful tool for studies in early embryo development, cellular differentiation, phylogenetic inference, and biomarker discovery. Total RNA is firstly isolated from a sample, then library preparation may involve such steps as poly-A-based mRNAs enrichment or ribosomal-depletion-based RNAs enrichment, RNA fragmentation, reverse transcription to cDNA, adapter ligation, and PCR amplification. Ribosomal depletion is superior to poly-A selection due to its enrichment of RNA with or without poly-A tails. Therefore, transcriptome that has been rRNA depleted is often considered as total RNA, including both mRNA and non-coding RNA. The following deep sequencing is performed with configuration of Illumina HiSeq (single-end, short-read, or paired-end, long-read) or PacBio SMRT (very long-read reaction). The very long-read sequencing strategy is able to sequence the full-length isoforms without the need of assembly. The final step for transcriptomics study is the bioinformatics analysis, generally involving quality trimming of raw data, alignment/mapping to a reference genome or de novo assembly, post-mapping manipulation and quality control, as well as advanced data mining, such as quantification of gene expression. RNA-Seq: Reveal RNAs presence and RNAs expression levels in a certain condition and time, enable discovery of novel gene structures, alternatively spliced isoforms, gene fusions, and SNPs/InDels. Small RNA Sequencing: Characterize miRNA expression and function by expression profiling. Allow identification of sequence isoforms, prediction of novel miRNAs, and prediction of potential mRNA target molecules. LncRNA Sequencing: Provide the comprehensive analysis for both lncRNAs (the non-coding RNAs longer than 200 nt) and mRNAs at a single sequencing run, enabling the comparison of lncRNAs and mRNAs expressions and function inference of lncRNAs and mRNAs. CircRNA Sequencing: Provide the circular RNA (circRNA) sequence information with single-base resolution in one time for potential therapeutic and research applications. Degradome Sequencing: Analyze patterns of RNA degradation. Identify miRNA cleavage sites from the degradome effectively and infer target genes accurately. Our unique combination of long and short reads, single and paired-end sequencing, strand specificity, and capacity for tens of millions to billions of reads per run allow us to sequence your samples in diverse ways. Our experienced personnel can help you to define how our services can be best leveraged for your project, and our strict quality control can ensure you the integrity of delivered results. Please feel free to contact our specialists and discuss the suitable strategies for library preparation and sequencing.